You’ve written the best book you can, chosen the perfect title and are ready to launch it into the world, but there’s more to putting out a professional book than great writing.You could pay someone to do the typesetting for you, but you want to do it yourself, and you can’t afford expensive desktop publishing software. Rena sighed as she shut the door behind her and locked it. She glanced out the window as her date walked back to his car. It had been a lovely evening—good food, nice conversation. The trip to the museum was pleasant, the drive was pleasant, and the goodnight kiss was, well, pleasant. Lily's life is perfect--a perfect lie. With a successful husband, a gorgeous home, and a growing family, Lily Drake has it all. But when the FBI shows up, she realizes her husband is not the man she thought he was. Meanwhile, Lily's friend Curtis is about to be drafted by the NBA, but he suddenly feels pulled to find his birth family, and no one is prepared for what he'll discover. With so many obstacles in their way, Lily and Curtis must learn to rely on each other if they're ever going to find peace and learn to love again. Denise was surprised when she heard a knock on her window and looked up to see an officer peering through the opening. "Are you OK Ma'am?" She had been too wrapped up in memories to realize the police car in front of her had moved. 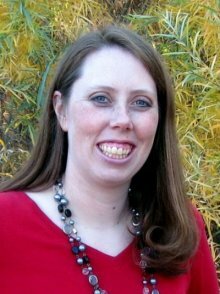 Hi, I’m Heather Justesen, writer of LDS women’s fiction. Ask anyone who knew me growing up, I would as soon have my nose in a book as go to the neighbor’s to play. I suppose it was only a matter of time until I started making up stories of my own. Though I dabbled some in high school, I didn't write again until after I graduated from Southern Utah University with a BA in English literature in 1998. People always ask me if I studied English because I planned to be a writer, but honestly writing was the furthest thing from my mind until after I graduated (or I would have studied actually writing during that time, instead of books written by people who've been dead for hundreds of years!). After nearly ten years of writing, I finally saw my first book in print, The Ball's in Her Court, quickly followed by Rebound, Blank Slate, and Family by Design. Recently published is POD Like a Pro, a book about professionally typesetting your book to be published via printing on demand. When I'm not writing, I'm running as a volunteer A-EMT (Advanced EMT) with my local ambulance service, playing in the kitchen, in the yard gardening, or with my menagerie of chickens, geese, ducks, guineas and the lone, but incredibly vain, tom turkey.